Sentence strips have so many good classroom uses that go beyond simply practicing handwriting and beginning sentences. I use sentence strips in my classroom to create timelines. The paper Sentence Strips are a great length and width, and they already have a straight line printed on them. 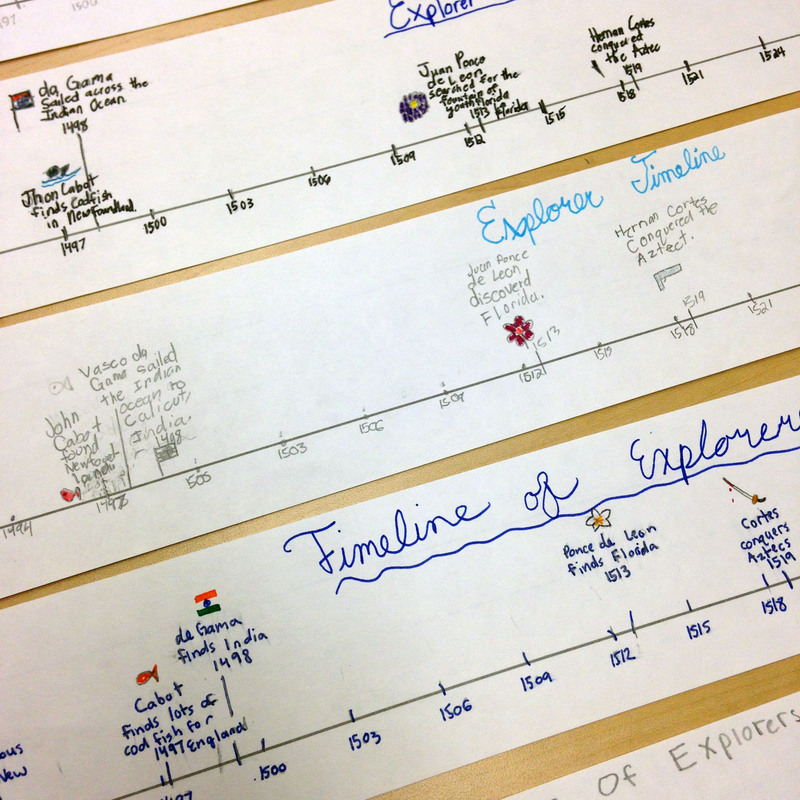 One type of timeline we complete shows the years the various explorers reached the New World. Our textbook organizes the explorers by country, so students read about Marco Polo (Italy) first. Then, move over to Portugal, followed by lots of Spanish guys, and end with England, France, and the Netherlands. The format of the book makes it seem like Spain did all of this conquering and then other people sailed across the Atlantic and explored the northeast coast of North America and Canada last. 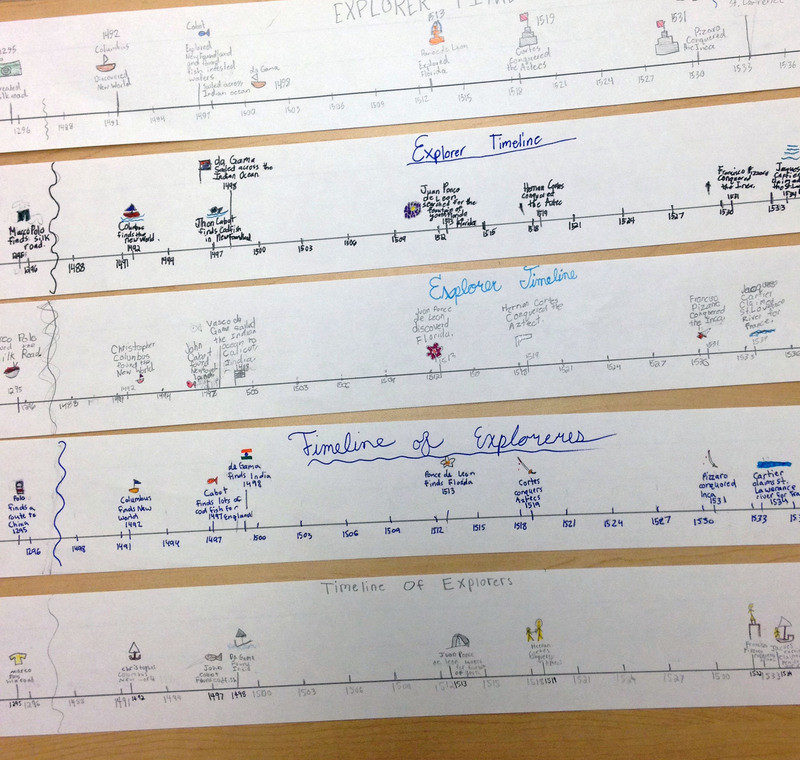 I had my students create an explorer timeline, so we could see that after Marco Polo’s great journey, the explorers of the Americas were actually all sailing and conquering at about the same time. Another type of timeline we made showed the span of events in a story. A few books we read take place over a short amount of time with a lot of action built in. In the sample above, students used clues in the novel, Danny the Champion of the World by Roald Dahl, to identify the exact time from the beginning of the story to the great pheasant hunt party at the end. It is nice for the students to visualize how quickly or slowly characters are solving a problem. Story timelines are also a great tool when a story has a flashback element or the narrative order is different than the time order. The students can see the actual time of events and compare it to their reading. The Odyssey is a great example of a story that is told out of time order (in medias res), and it is easy to confuse the reader. I used the sentence strip timeline with 9th graders to summarize key events in time order of The Odyssey, and it was really helpful. Gather your information in notes or a chart like this EXPLORER TIMELINE NOTES PAGE. Identify the first date and the last date that will appear on the timeline. Determine the time span and then add a few years before the first date and after the last date, so there will be space at the beginning and end of the timeline. The sentence strips are 24″ in length. The next step is to determine the increments of time along the strip. This is the part that can confuse kids. Their first reaction is to list each event in order on evenly spaced lines, but the point of a timeline is to show how close or far apart events happened from each other. Your group will need to add, subtract, divide, and measure to determine the spacing and increments of time on your timeline. 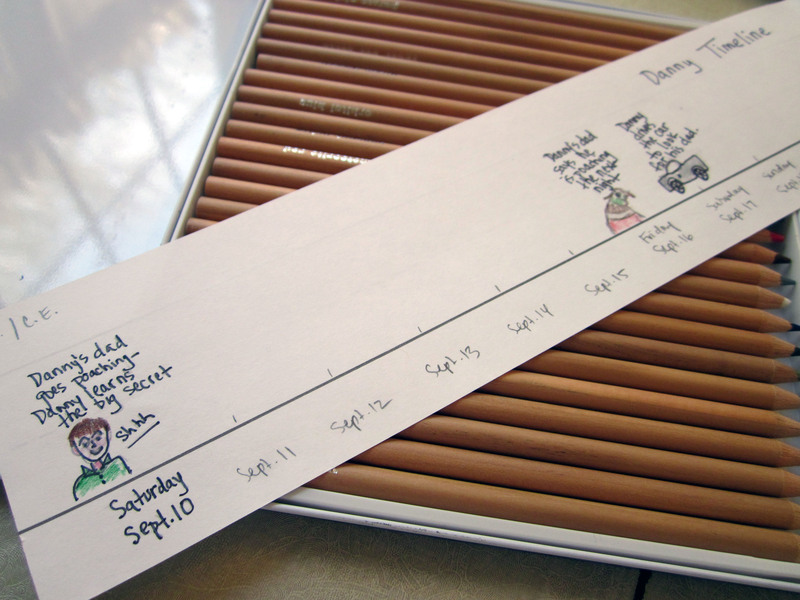 Creating the spacing on the timeline is great measuring and counting practice. If you note that there is a break in activity for many years, you can jump over years using a dividing line. Create a “broken timeline” by drawing a wavy line indicating a jump over years. In the image below, you can see a break near the beginning and end of the strips where we had a span of years with no events. It allowed more space in the middle years to add information we needed. 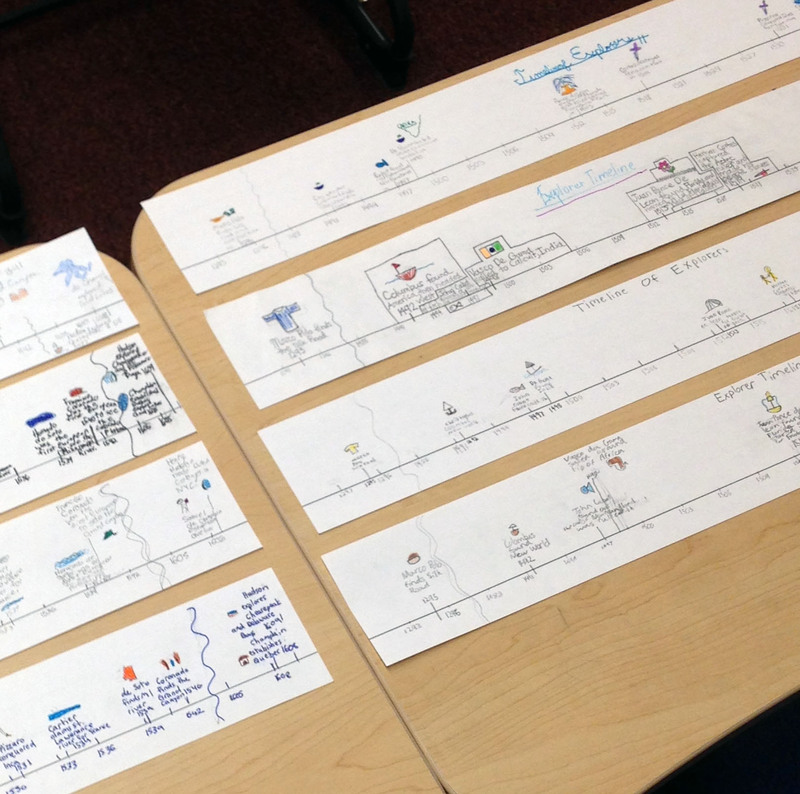 The finished timelines give a great overview of a topic in history or key events in a story. It allows students to make generalizations about a topic and synthesize several pieces of information as well as incorporate math skills. Students need more practice reading charts, tables, and graphs, so they can draw conclusions about any data presented. 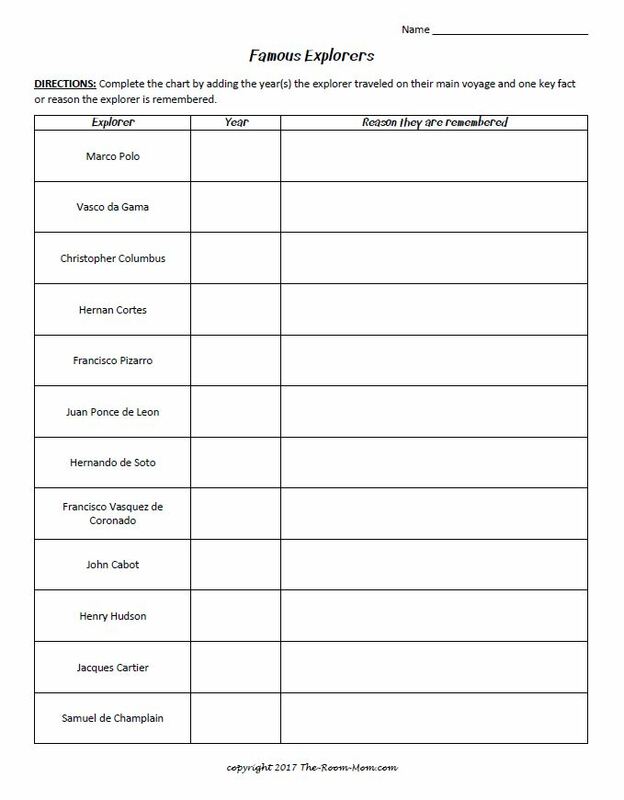 When students are reviewing big chunks of information at the end of a unit of study, have them create a chart or table of some kind to help visualize similarities, differences, and recall big ideas. I love sentence strips too. We make sentence starter tents by folding them the long way so they can stand up like a tent. One one side a sentence starter for partner A and the other side a sentence starter for partner B. I will have to give your timeline idea a try – such a great one! I like the idea of folding, so it stands. I have also folded the strip down into a booklet. The sentence strips are such a great tool for upper elementary classrooms!